The player could create several characters, but only five would be allowed in the party at one time. During the character creation process the player was presented with a list of the possible race and class combinations, selected the desired alignment, then was presented with a set of randomly generated attributes and hit points. Character creation could prove frustraiting because the player had no control over how the numbers were placed. For instance, the game might generate a mage with an Intelligence of 10 but a strength of 18. Or, the player might be offered a fighter with good strength, constitution, and dexterity but 4 hit points. 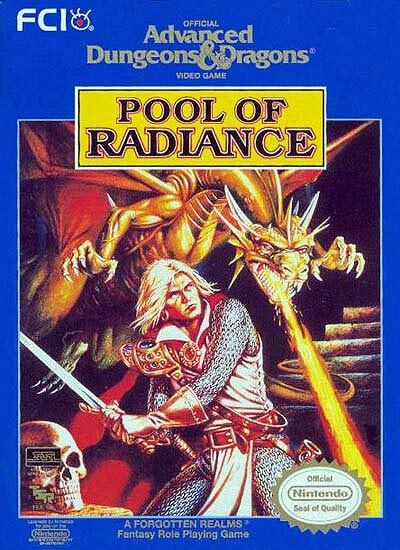 The game also didn't necessarily follow the AD&D first edition multi-classing rules too closely. A fighter/cleric could use edged weapons and a multi-class mage could wear armor while casting spells.